Are you looking for a great deal in Hampton Roads, Virginia on your home heating? Hotboys is ready to help. We want to be YOUR preferred heating contractor! 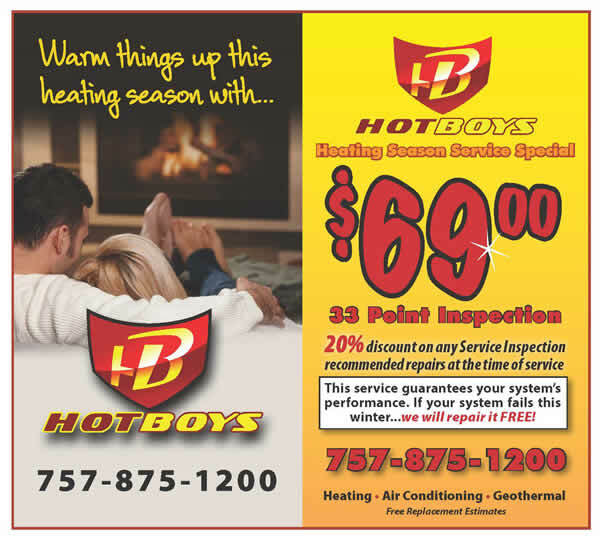 Whether you live in Richmond, Williamsburg, Newport News or Portsmouth, Hotboys has a HOT deal to keep you warm this winter.